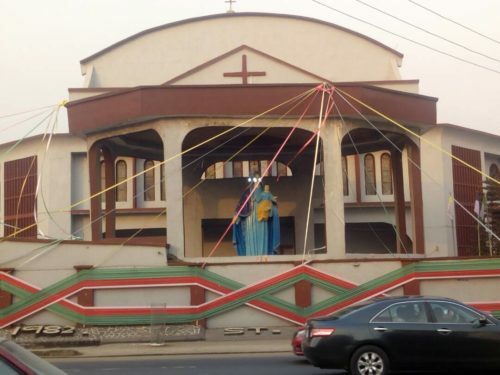 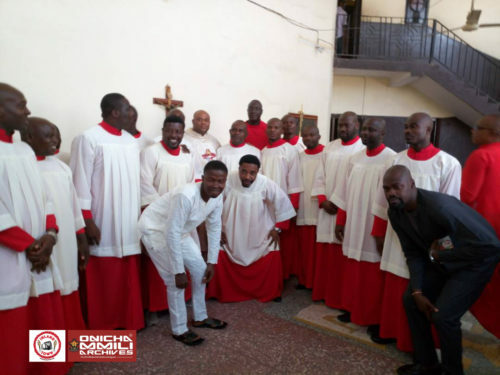 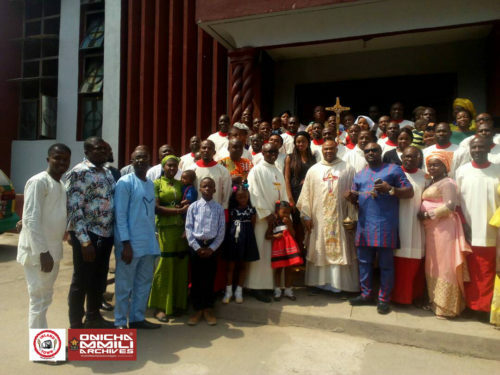 What a beautiful way to end the year on Sunday 31 December 2017, the old boys of Altar Knight Association of St. Mary’s parish Onitsha organized a reunion to reenact their roles in the house of God. 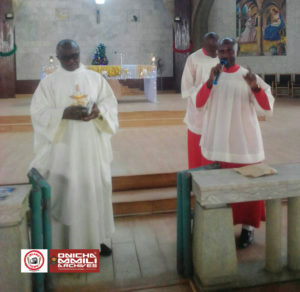 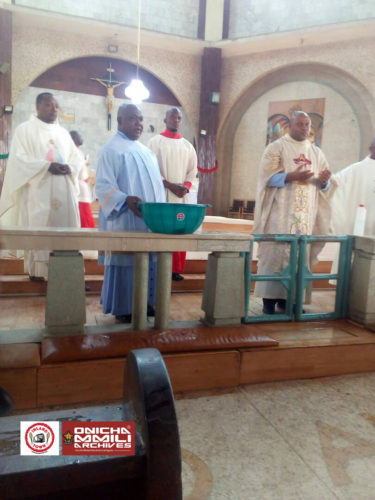 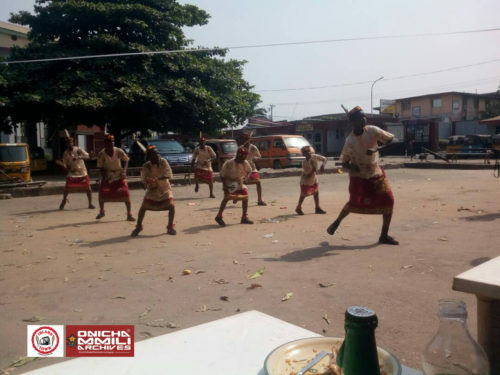 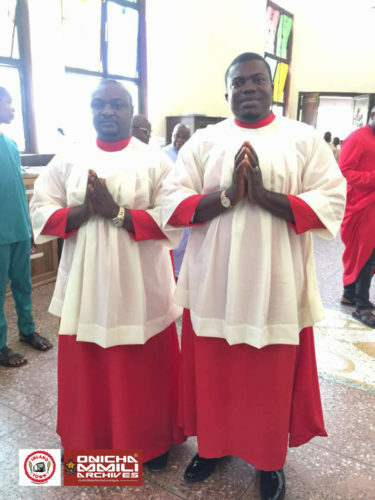 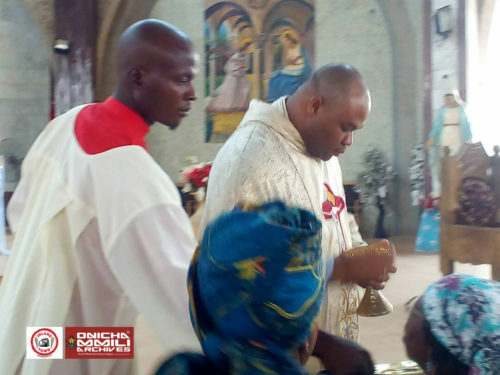 The old boys association of Altar Knight of St Mary’s parish Onitsha consisted of men who had been mass servers over 30 years ago. The men who are currently doing well for themselves were not ashamed of thanking God for it while serving at the 10am Mass. 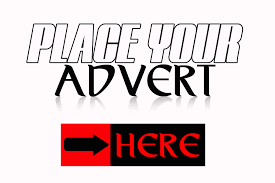 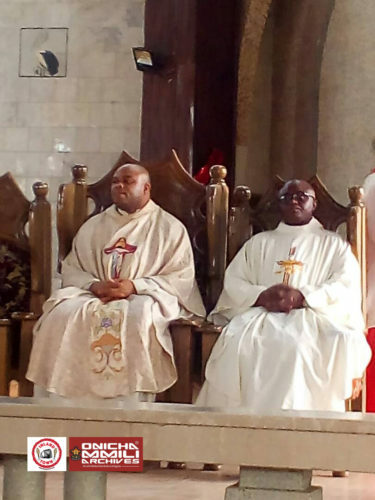 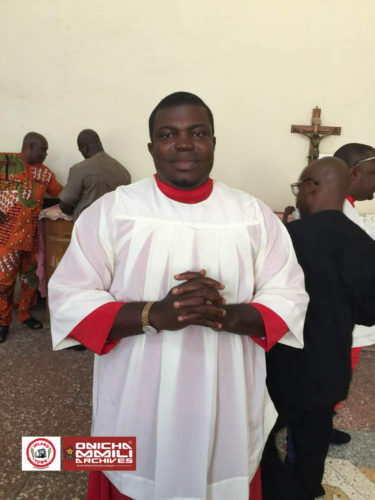 Some of them include Justices of the high court, colonels in the Nigerian Army, reverend fathers in catholic churches among others. started o8 from a whatsapp group before coming to reality. 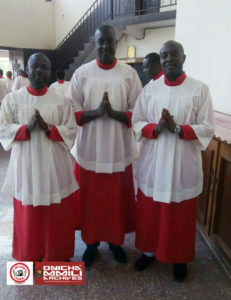 Tony Nwanosike, Rev Fr Philip Egbuniwe and Rev Fr Emeka Ojukwu. 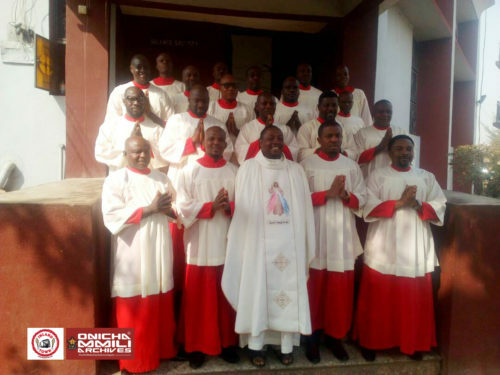 70 men who served mass under the parish priesthood of Msgr. Gabriel Onuorah were present at the mass. 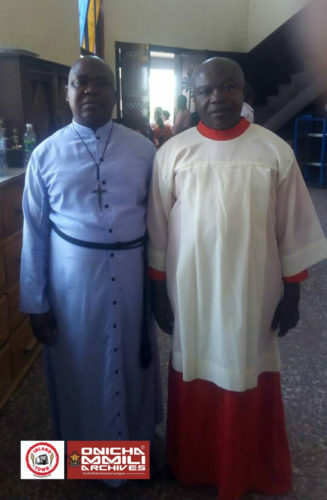 Nwanosike, Rev Fr Philip Egbuniwe, Rev Fr Emeka Ojukwu. The mass ended with the Old Altar boys association donating =N=200,000 to the church and other items . The old boys were equally entertained by a cultural troupe well delivered by the current altar boys in appreciation of the days event.